Michele Rose Watts, 49, of Stevensville, MD passed away peacefully in her home on January 29, 2019. She was born to Barbara and Michael Carnochan Sr., November 23, 1969 in Baltimore City, Maryland. She graduated from Andover High School in 1988 and later attended cosmetology school at Hair Academy, graduating in 1990. Michele and her husband, Richard Watts, met while she was attending cosmetology school and have since been together 28 years, married 21 years. 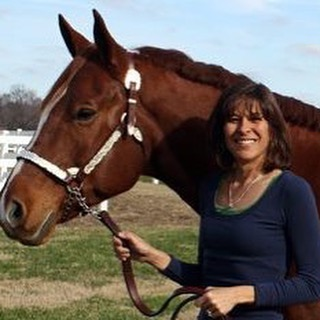 Michele was a devoted wife and loving mother, who always supported her daughter, Angelina, during many years of 4-H, horse shows, and equestrian collegiate competitions. She was successfully self-employed as a cosmetologist for nearly 30 years who spent many Tuesdays at Somerford Place cutting hair of Alzheimer's and Dementia patients. She was a selfless mother, daughter, wife, and friend who always cared more about the well-being of her family than her own. Michele is survived by her husband, Richard Watts, her daughter, Angelina Watts, her mother and stepfather, Barbara and Edward Tress, her stepmother and father, Darlene and Michael Carnochan Sr., her brother, Michael Carnochan Jr as well as an extended number of nieces, nephews, sister-in-laws, brother-in-laws, and her in-laws, Jackie and Eldridge Watts. The family will receive visitors at Singleton Funeral & Cremation Services, P.A., 1 2nd Ave, S.W. (at Crain Hwy), in Glen Burnie, on Tuesday, February 5th, from 3-5 & 7-9 PM. A Mass of Christian Burial will be celebrated on Wednesday, February 6th, at 10 AM at Christ the King Catholic Church – Holy Trinity, 7436 B&A Blvd, Glen Burnie, MD 21061.